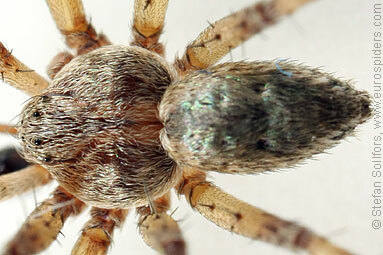 Male Philodromus collinus, close-up from above. 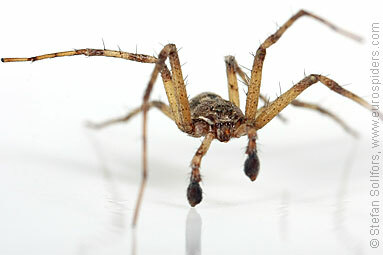 Male Philodromus collinus, front view. 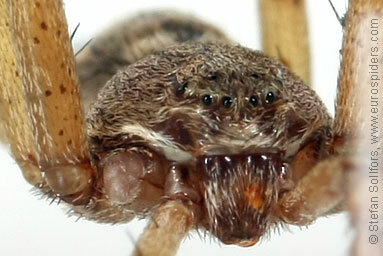 Male Philodromus collinus, close-up of the face. 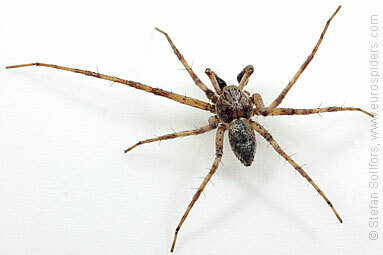 Male Philodromus collinus from below. 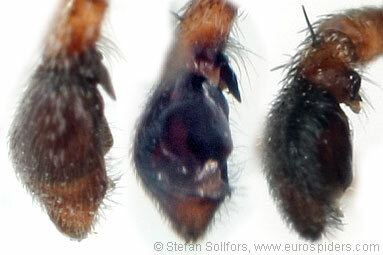 Close-up of palps of a male Philodromus collinus. 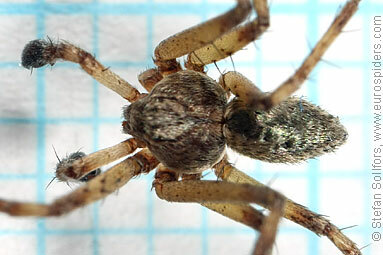 Male Philodromus collinus, about 4 mm. The running crab spider Philodromus collinus. Note the iridescent hairs of the male. I am a photograper, not an arachnologist. 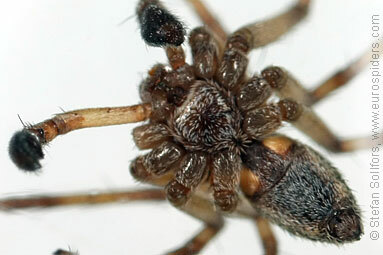 Allthough I spend a lot of time on spider identification, I can not give a 100% guarantee on the id of the spiders.